Another ‘making it look easy’ game for Jacksonville. Another game where they just imposed their will on the other team and just pounded away. Teams are so worried about the run that Blake Bortles gets to play 7-on-7 summer passing league football. You can’t cover the Jags’ small, speedy WRs for long one-on-one, after starting out in a run coverage mode. Bortles is dropping back and having his choice of running free guys to throw to on 1st and 2nd downs. Jacksonville can afford to mess around on offense. They can run ‘too much’, or fake the run and throw soft tosses on 1st and 2nd downs. It all doesn’t matter because their defense is so good they don’t mind punting the ball away and trying again after they three-and-out you. Throw in that about once per game or two the Jags run a simple fake punt run or pass and steal more possessions/opponent’s on a thing more teams should do but they’re too petrified (fake punts)…and ‘just like that’ the Jags have a high-efficiency offense even with Blake Bortles at the helm. *Sidebar – if were an NFL GM, I’d grab a nifty, mobile college QB that didn’t have the QB skills for the pros…and teach them to punt. Like nonstop all year on a practice squad/IR. I assume…a great athlete, with enough training, has to be able to become a good enough punter. Then my punter would be a weapon as a fake punter (run or pass), a holder weapon on kicks…and my 3rd QB in case of emergency. Why hasn’t anyone in the NFL attempted this? I got a million of them…and also, this is why the NFL is a terribly run business because this is not even being tried. The Jags are 8-4 and could win out, but if they lose to Seattle Week 14 (very possible), they’ll likely be 10-5 headed to Tennessee Week 17 for the showdown for the AFC South. The loser is the #5 seed wild card. I’d have to bet it will be the Jaguars as the AFC South champs. Indy…is 3-9 overall, and 1-6 in their last 7 games. They’ve played teams tight the past several games with the exception being getting blown out by the Jags twice. Indy will probably win one more game this year…a 4-5 win season to prep for 2018 and the return of Andrew Luck, which sounded like really exciting stuff 2-3 years ago. Who cares about Andrew Luck among us anymore? -- Marqise Lee (7-86-1/10) is having a terrific season and is the Jags’ clear #1 WR, and is a strong WR2 with WR1 upside every week in anything but ‘bad’ matchups. Lee was stuffed by Patrick Peterson in Week 12, in his last 6 games aside from the Arizona squash, Lee is averaging 9.9 FF PPG (15.7 PPR) on 5.8 rec., 69.3 yards, and 0.50 TDs per game – WR1 work. And solid every week, not just one mega game pushing his averages. Seattle, Houston, SF the next three weeks…all solid+ matchups. It’s not that Lee is remarkable, he’s just ‘good’ but now playing against a lot of one-on-one with coverage worried about stopping the Jags’ run game. Lee is roaming free all over and really making some nice catches. He is clearly Bortles’ favorite receiver. -- Dede Westbrook (6-78-0/9) had another solid game with big targets – he’s a lesser version of Lee and doing similar things…fast guy running around soft coverage, but Westbrook often gets the softest coverage. He’s the least talented of the WR trio but is solid/OK enough. -- The better-than-Westbrook WR is Keelan Cole (3-49-1/3). Cole made two superb catches in this game. A back of the end zone, leaping grab with coverage draped TD and then caught a floater from Bortles between two defenders, one coming to kill him after the catch. Cole caught the pass and quickly ducked to make it a glancing blow and a big play. Cole is just a UDFA and Westbrook is beloved by the media, so the team, I’m sure, pushes Westbrook because ‘reasons’. I’ll bet a play happens this year or in the playoffs where Westbrook drops a basic pass that costs the Jags the game in some fashion. You watch. Cole should be being leaned on more as he’s coming into his own, but it’s the NFL…so that won’t happen. -- Leonard Fournette (20-57-1, 3-22-0/4) is such a pleasure to watch run the ball. I just have to write that every week as mandated by me. -- The Colts are a target to play the Bills DST on this week, no doubt. The Colts have scored 20 or fewer points in five of their last 6 games. Jacoby Brissett (21-36 for 174 yards, 1 TD/2 INT) has been sacked 32 times the past 6 games, 5.5 times per game. Brissett is throwing for more TDs of late (7 TD passes in his last 5 games) but hasn’t rushed for a score in 7 games…after 3 rushing TDs in his first 3 games. Center Ryan Kelly, the Colts best OL, remains out with a concussion. There’s not much going for Indy against BUF this week except ‘Peterman’ if that becomes a problem. -- The Colts have stopped using Marlon Mack (6-46-0, 1-8-0/2) for reasons I do not understand…except, that this is what you get with a defensive minded head coach – nonsensical offensive plans. No feel for the talent and how to use them. Mack was Alvin Kamara before Kamara became Kamara – a guy who you used for a few carries and a bunch of targets and was making big plays in limited touches. The Saints saw it with Kamara and built the offense around him. The Colts saw Mack popping a bit and reeled it back in for more Frank Gore. Late in the game, instead of more work for Mack…Josh Ferguson (3-16-0/3) was resurrected for touches. Ferguson looked as good as ever and could be the third-down back for at least a dozen teams in the NFL…but here we are – a lost soul for the Colts. -- I make notes of, but I’m also skeptical of, the ‘cornerback ratings’ that get assigned by Cris Collinsworth’s PFF group, etc. There is so much to be said for who the QB is in those instances and the way the evaluator judges plays…there’s a lot up for interpretation/eye of the beholder. It’s necessary/interesting work, but I think I could do it better…but I don’t have the time to build a multi-million dollar football research company on the backs of volunteer workers yet. I’m not sure it’s true today, but I know in the past the PFF grading work was done by volunteers…which is nothing wrong with but I also know it was a revolving door. Not sure about the continuity of the grades/graders. I could be talking out my rear about it. Going off of knowledge a few years ago. I make my own notes of these things for the weekly re-watch/tape and look at numbers of the opposing #1 WRs and the quality of QBs facing them when I try to ‘grade’ CB performance. It gets to be shaky at points because a guy can have a bad game because he’s playing through a foot issue…but is often graded equally/normally for the performance. It’s a slippery slope. 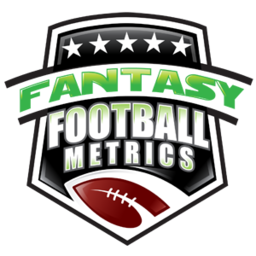 I rely a lot on our College Football Metrics scouting grades and then +/-‘s that I note in preseason and regular-season on guys. All that to say…one of the analysts in this game mentioned something that caught my attention – A.J. Bouye had the lowest QB rating against him among all CBs this year. The reason we took the Jags DST so seriously this preseason was the rare event they had created – two shutdown corners in one team. With the collapse of the Denver Broncos…it looks like the Jags jump from #2 to #1 with the best CB duo in football – and they’re young. Houston did not re-sign A.J. Bouye this past offseason…payroll heavy from Lamar Miller and Brock Osweiler, among others I suspect. Brian Cushing too. No one has been as bad at ‘football things’ than the Texans GM the past few years…but no one cares outside of Texans fans who know the deal. In fact, nationally the media is going to laud him for picking Deshaun Watson…and ignoring the utter collapse he’s brought to the franchise otherwise, but HEY they got a flashy QB who was hot for 4-5 games…so problems all solved! !